Legendarily luxurious. The talented singer and “Strong Heart” MC reportedly recently moved in to Seoul’s famed Brown Stone Apartments with his family, and they are living large! 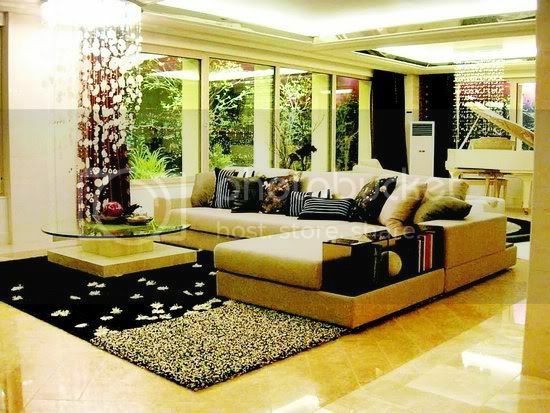 The apartment complex is known for its high price and exclusivity, which draws in the rich and famous by the truckload. Not only is Lee Seung Gi taking up residence, but Lee Hyori is reported to be moving in soon as well. The 3rd 2009 Mnet 20’s Choice to be held coming 28th August in JamSil Stadium will be an event for the 20s in Korea, the representative trend setters in Korea. And with that, a relay interview ‘20 people in 2o’s’ was done on the stars which youths in their 20s love. The interview features like 20 stars Lee Hyori, GDragon, Rain, Shim MinAh, Goo HyeSun, Seo In Young, Tablo, Im DongHyuk, Lee JunKi etc. Rest of the article featuring the other artists can be found in sookyeong’s blog. Maybee: A magic genie comes and tells you that he has the powers to change you into whoever you want! Who would Park Bom want to be? B: And Lee Hyori unni! M: Ahh, I see I see! B: I think they’re both really cool and admirable. And like with Hyori unni, I really love her fashion sense and admire her professionalism. M: If I’m not mistaken, didn’t you have a chance to collab with Hyori for a CF? M: So when that happened, you didn’t have the chance to get closer to her? M: What was so great about her? M: Haha yes, she’s a very considerate person as so. Oh, and here we have just received a phone call from somebody who wants to talk to someone here in particular. Shall we answer it? Hello? M: *laughs* YO YO YO YO– SUPERSTAR…LEE! HYO! RI!